Prices are payable in US dollars. Goods that are shipped via FedEx ground will be delivered within 14 business days. Goods that are shipped via USPS will be delivered within 7 – 14 business days. 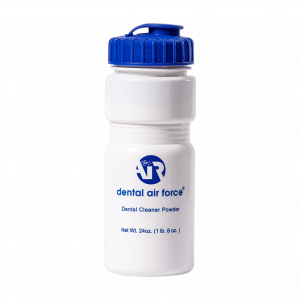 The Dental Air Force® home dental cleaning appliance is guaranteed for a period of thirty (30) days from the original date of purchase for the original purchaser only. If, for any reason, you are not satisfied with your Dental Air Force® home dental cleaning appliance within the first thirty (30) days from the original date of purchase, return it to the place of purchase in the original packaging and box for a refund of the original purchase price less $35 for handling fee. You will be responsible for paying for your own shipping costs for returning your item. Shipping costs are nonrefundable. DENTAL CLEANER IS NOT RETURNABLE. The Dental Air Force® home dental cleaning appliance has a one (1) year limited warranty from the original date of purchase for the original purchaser only. The appliance is warranted for the first twelve (12) months by the manufacturer for parts and labor under a full care service agreement, provided by the manufacturer at no additional cost to the end user. This limited warranty is subject to the disclaimers, exclusions, limitations and one year limited warranty remedy described below. This limited warranty gives you specific legal rights. You may also have other rights, which may vary by state. There is no warranty that extends beyond those described in the limited warranty printed here. Air Force Inc makes no representations of any kind, expressed or implied, regarding products manufactured or distributed, of merchantability, fitness for a particular purpose, of any other matter. Air Force Inc is not liable for incidental or consequential costs or losses incurred by the product purchaser or user. Agents of Air Force Inc have no authority to make representations of any sort beyond those contained herein. 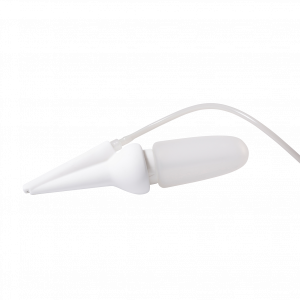 The product price is in consideration of limiting Air Force Inc’s liability for Dental Air Force® home dental cleaning system manufactured or distributed. This limited warranty does not cover damage due to dropping the housing, cutting or puncturing the hoses. This limited warranty does not cover home dental cleaning appliances that, in Air Force Inc’s judgment, are damaged by normal wear, improper use, accidents, alterations, or improper maintenance or repairs. Some states do not allow the exclusion or limitation or consequential damages, so the above limitation or exclusion may not apply to you. 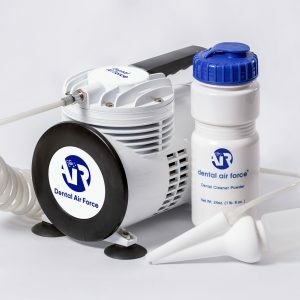 Your Dental Air Force® home dental cleaning appliance that has a material or workmanship deficiency within one (1) year of the original date of purchase will be repaired or replaced at no charge. Shipping and handling will be provided by the consumer. The Dental Air Force® home dental cleaning appliance must be returned in its original packing and box to Air Force Inc in Holland, Michigan for evaluation before any repair or replacement is given. Proof of purchase showing amount paid and date of purchase must also be included with the appliance when it is returned. Please read these Terms and Conditions carefully before using the http://www.dentalairforce.com website. Your access to and use of the Buy Now is conditioned on your acceptance of and compliance with these Terms and Conditions. These Terms and Conditions apply to all visitors, users and others who access or use the Buy Now. By accessing or using the Buy Now you agree to be bound by these Terms and Conditions. If you disagree with any part of the terms then you may not access the Buy Now. If you wish to purchase any product or service made available through the Buy Now page, you may be asked to supply certain information relevant to your Purchase including, without limitation, your name, physical address, email address, phone, credit card information. Some parts of the Buy Now are billed on a subscription basis. You will be billed in advance on a recurring month for twelve months. If you default on your payment, by way of changing your credit card information or any other method that does not allow recurring payment and not alerting Air Force Inc. you will be held liable for the entire balance. We will use your information to respond to you, regarding the reason you contacted us. We will not share your information with any third party outside of our organization, other than as necessary to fulfill your request, e.g. pay for an order.